Audio Technica AT-33 Mono MC Cartridge Moving Coil Mono Cartridge AT-33 Mono Moving Coi.. Audio Technica AT-50ANV MC Cartridge Moving Coil Cartridge AT-50ANV Moving Coil Cartrid.. Audio Technica AT-ART7 MC Cartridge Moving Coil Cartridge AT-ART7 Moving Coil Cartridge.. 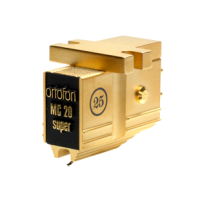 Audio Technica AT-ART9 MC Cartridge Moving Coil Cartridge AT-ART9 Moving Coil Cartridge.. Audio Technica AT-F2 MC Cartridge Moving Coil Cartridge AT-F2 Moving Coil Cartridge .. Audio Technica AT-F7 MC Cartridge Moving Coil Cartridge AT-F7 Moving Coil Cartridge .. Audio Technica AT-MONO3/LP Mono MC Cartridge Moving Coil Mono Cartridge AT-MONO3/LP .. Audio Technica AT-MONO3/SP Mono MC Cartridge Moving Coil Mono Cartridge AT-MONO3/SP .. Audio Technica AT-OC9/III LTD MC Cartridge Moving Coil Cartridge AT-OC9/III LTD Moving .. Audio Technica AT-OC9/III MC Cartridge Moving Coil Cartridge AT-OC9/III Moving Coil Car.. Audio Technica AT-OC9ML/II MC Cartridge Moving Coil Cartridge AT-OC9ML/II Moving Coil C.. Audio Technica AT100E Cartridge VM Type (Dual Magnet) Stereo Cartridge AT100E VM Type (Dual.. Audio Technica AT120Eb Cartridge Vector-Aligned Dual Magnet design and A-T’s exclusive Pa.. Audio Technica AT150Sa Dual Moving Magnet Cartridge AT150Sa Dual Moving Magnet Cartridg.. Audio Technica AT33EV MC Cartridge Moving Coil Cartridge AT-33EV Moving Coil Cartridge .. Audio Technica AT33PTG/II MC Cartridge Moving Coil Cartridge AT-33PTG/II Moving Coil Ca..